White cake with vanilla butter cream icing. An exhausted lady on the top made from fondant. 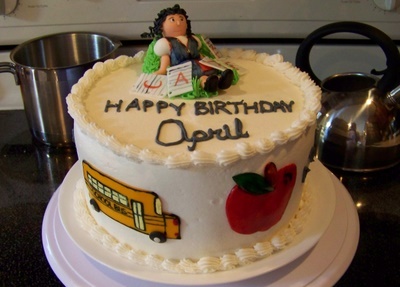 A fondant school bus and apple on the side.